You are warmly invited to our next paper. Prof. Michael Hunter returns to the Birkbeck Early Modern Society, having last spoken to us almost four years ago when we were a fledgling society. 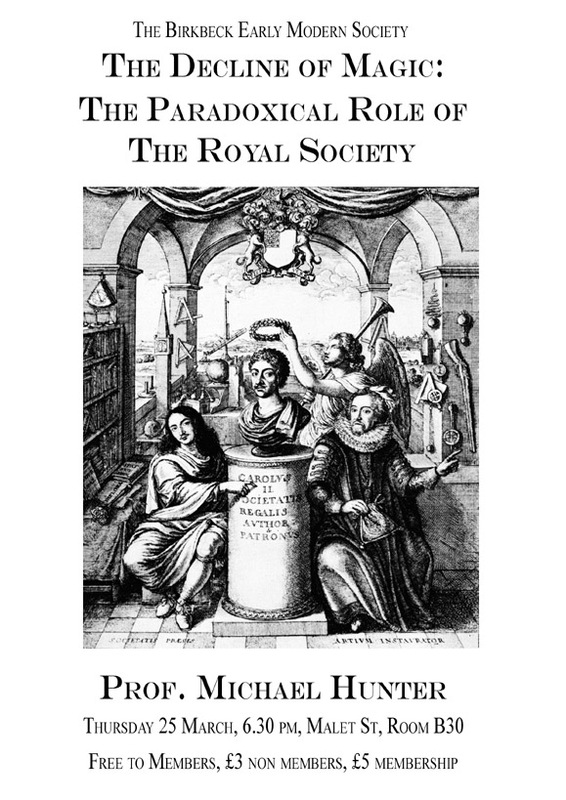 His biography of Robert Boyle was published last year, and now Michael Hunter is working on the decline of magic, the subject of one of his MA courses. It promises to be a fascinating paper! Please note that this event has been moved from room B30 to the Council Room. NextBulletin 14: Now Available Here!